An unusual design request to create a fence using a combination of copper, cedar and black iron accents led to this attractive solution: copper balusters, cedar framing and black attachment hardware. 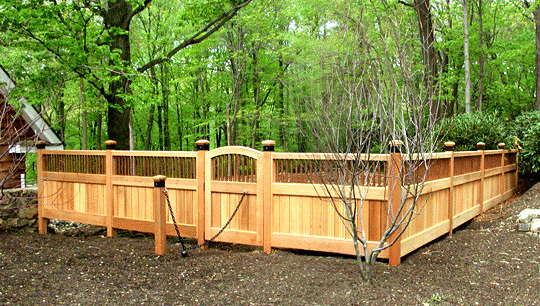 Additional images of this project, including a double gate, can be seen on the Garden Gates No. CG1 page.